Secondary crushers are often viewed in the industry as quick intermediate step to prepare feed for tertiary crushers. Key requirements from a top performing cone crusher are aggressive crushing action, high crushing force and high power. The degree in which full use is made from this combination of performance duties will determine the success in getting the best work from your secondary crusher. The first consideration is correct feed preparation. A secondary cone crusher achieves its best work when fines smaller than the desired crusher product are removed from the feed. When a crusher is operating with a full chamber, the nominal top size of the crusher discharge is approximately 1.6 times the Closed Side Setting (CSS) of a top performing secondary cone crusher. For example, a secondary cone crusher operating at a 25mm CSS should have its feed relatively free of minus 40mm fines. 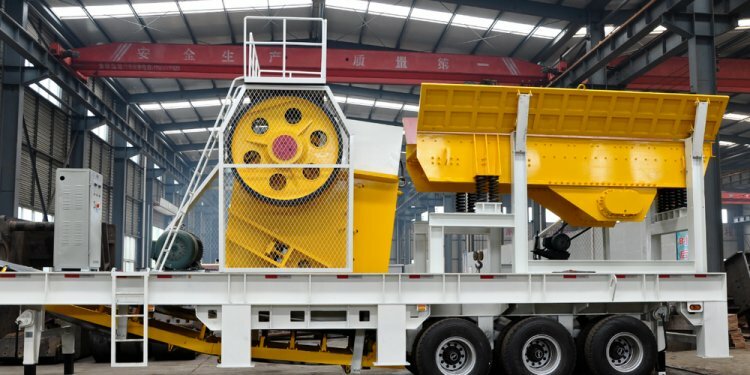 By removing these fines prior to crushing, a more efficient head movement can be achieved as the coarse particles are easily broken into smaller particles due to the voids created in the crushing chamber. Another advantage of removing excess fines is lower liner wear, as well as more even wear around the circumference of the crushing chamber during its wear life. The next consideration is correct presentation of feed to the crusher. When possible, the secondary crusher should be operated with a flooded crushing chamber, commonly referred to as ‘choke feeding the crusher’. In a top performing crusher, the head action at the top allows for a high rate of reduction, as the material experiences its first compression cycle at the feed opening. Each successive compression cycle increases the ratio and rate of reduction and results in a high processing rate and a high breakage rate. The result is the maximum breakage at the maximum tonnage into finer particles. The third consideration is power application. A secondary cone crusher will need to handle peak power permissible by the drive motor. A secondary cone crusher should be matched to a drive motor designed and specified for high load crushing duty. The motor specifications for top performing cone crushers are with a 1.15 Service Factor and a 200% breakdown torque. These specifications enable the crusher to operate for short periods of time at or above name plate motor power. Often this power flexibility is needed for hard competent rock or for achieving a choke fed crushing chamber. The last consideration to ensure the success of your secondary cone crusher is the force application. Top performing cone crushers use a great deal of force applied hydraulically around the circumference of the crusher through the upper frame assembly, commonly referred to as the adjustment ring assembly. Secondary cone crushers are mechanically safe and perform most effectively when this adjustment ring is stable. The stability of the adjustment ring is critical and should be monitored by special application vibration sensors. These sensors can detect adjustment ring movement that is slight, often due to poor feed conditions or due to the crusher setting being too tight. Alternatively, it can be too severe due to the passing of tramp metal. If either of these arise, the operator should take corrective action. Make sure the action taken, force and power of top performing crushers, are being fully applied to breaking rock rather than attacking the crusher with adjustment ring movement. By addressing all of these considerations, you will maximise the productivity of your secondary crusher. A Trio® TP top performing secondary cone crusher from Weir Minerals delivers a fine feed for high throughputs through the tertiary crushers. Operated to its full capabilities, a secondary cone crusher will make your entire plant more productive and efficient. We will be launching the Trio® TP900 at MINExpo in Las Vegas on 26 - 28 September. Visit us at Booth 5002 Central Hall. Visit our campaign page for more information. Weir Minerals offers an extensive range of high performance cone crushers, uniquely designed with a combination of head motion and crushing force to deliver application versatility and high productivity. View our product range for more information or get in touch with your local Weir Minerals Solutions Experts for all your comminution needs. Founded in 1871, The Weir Group PLC is based in Glasgow, Scotland and is one of the world’s leading engineering businesses. Weir designs, manufactures and services innovative solutions which make our minerals, oil and gas, power and other process industry customers more efficient. This is recognised in the global leadership positions we have developed in our core markets. The Group aims to be a partner of choice to our customers with a worldwide network of around 200 manufacturing and service facilities. Weir has a presence in more than 70 countries, with over 14, 000 people around the world working in three divisions: Minerals, Oil & Gas and Flow Control.